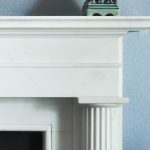 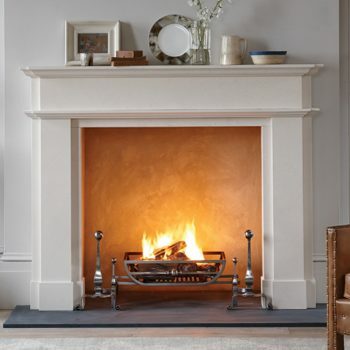 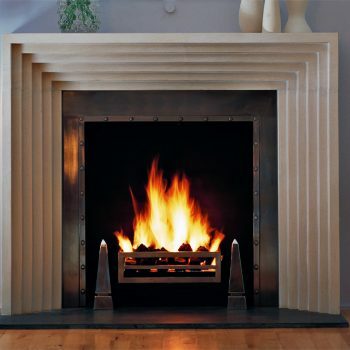 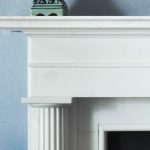 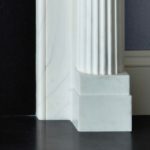 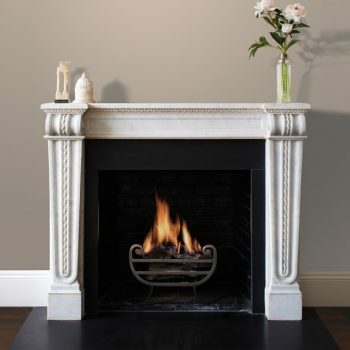 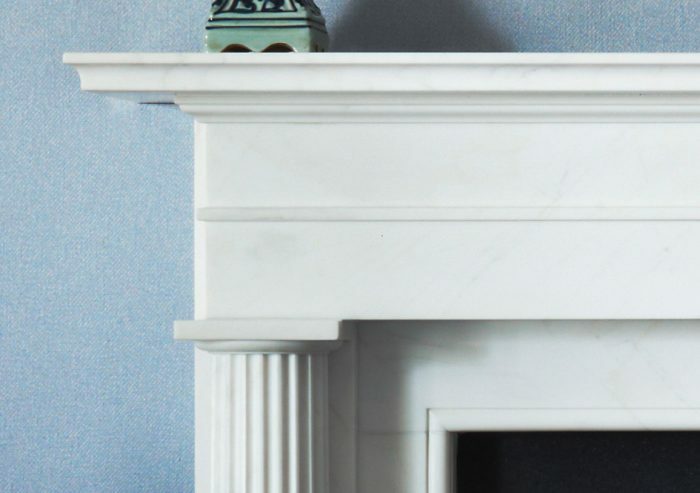 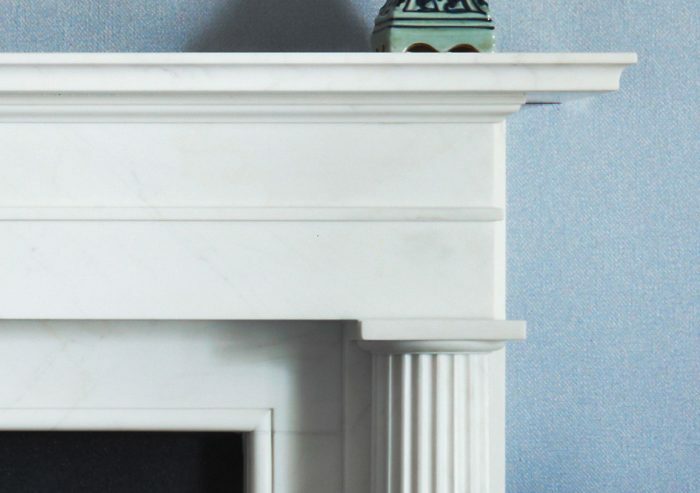 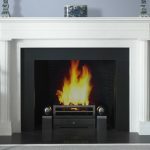 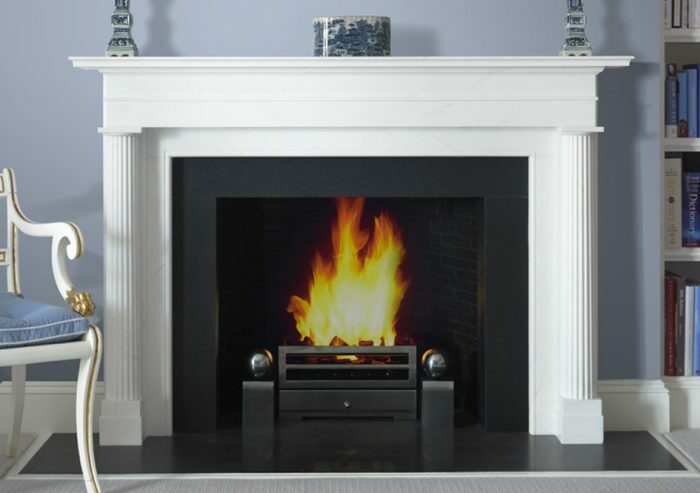 The Lincoln is a statuary marble chimney piece of classical proportions featuring engaged reeded Doric columns, a running stepped frieze and a generous mantel shelf. 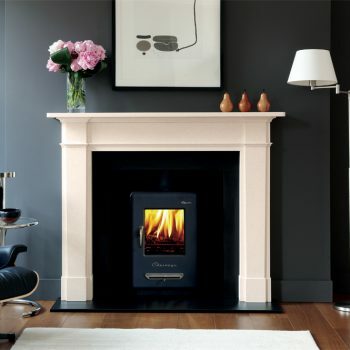 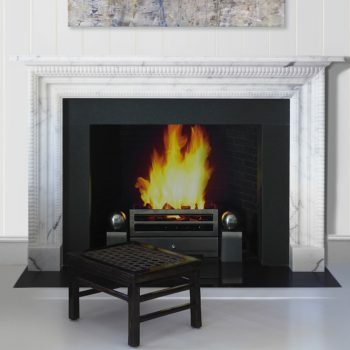 It is shown with a black slate hearth, slips, Soho fire basket for dogs and Spherical Steel fire dogs. 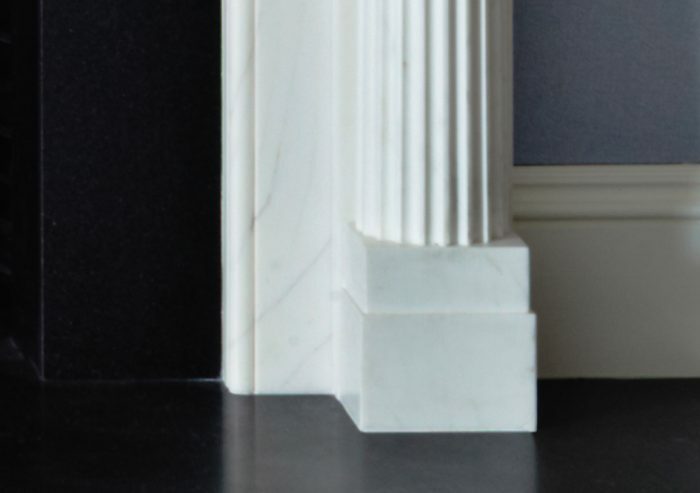 New York based designer, Alexa Hampton, is annually listed by Architectural Digest as one of America’s top interior designers.